showpixelVR presents the application “Instruction in virtual hospitals” at the trade fair “Arbeitsschutz Aktuell” in Stuttgart. 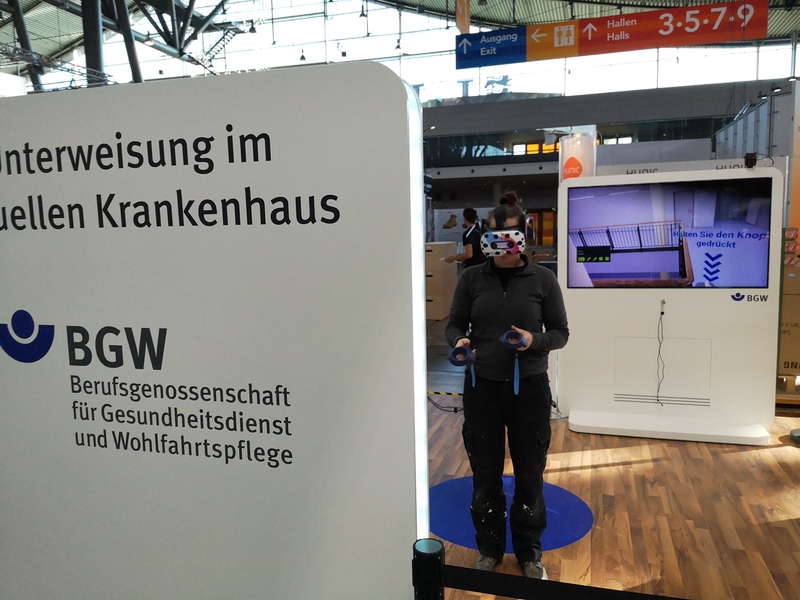 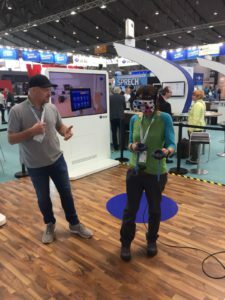 At the stand of the DGUV, the federation of German occupational health insurance agencies, the trade public had the opportunity for the first time to try out immersive occupational safety training with VR glasses. 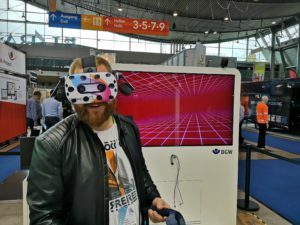 Experts from industry, care and security companies tried and discussed this new immersive possibility to provide realistic trainings in familiar surroundings, with increased stress levels and without any distractions. 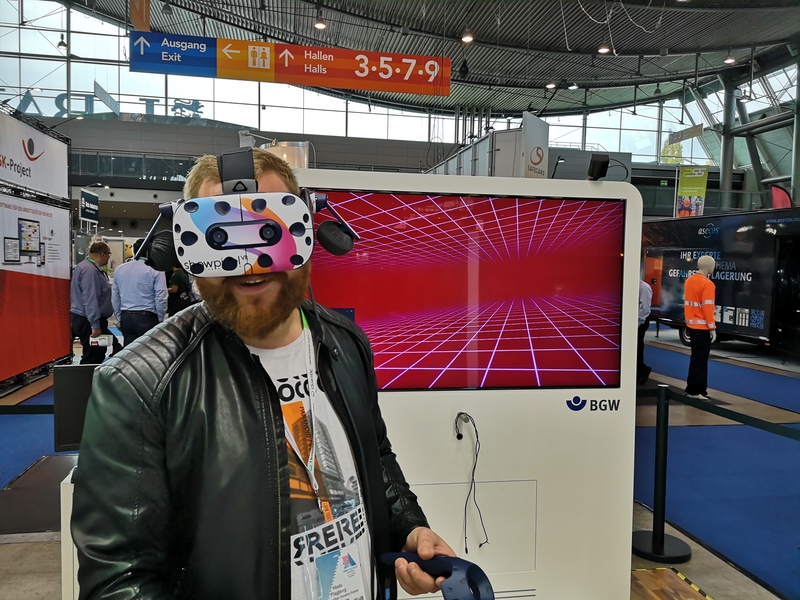 The response of the visitors was consistently positive and we were able to make many new contacts. 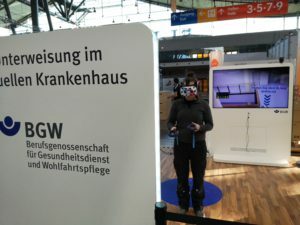 Previous: The first “virtual hospital” is taking shape!